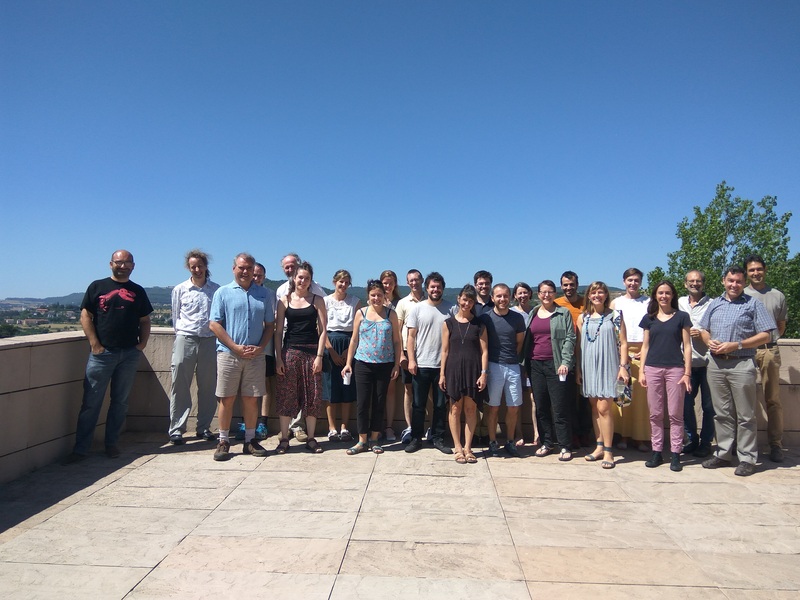 Throughout the week, a group of scientists from different disciplines are gathering in Solsona to share different types of data, models and tools to address biodiversity conservation challenges. This knowledge exchaneg will help decision makers with the management of fire-prone ecosystems. Solsona, 12 June 2017. Participants of the workshop, from eight different countries are recognized experts in ecology, environmental modelling and biodiversity conservation. According to Luke Kelly, one of the organizers of the workshop, “only by creating transdisciplinary groups and collaborations will we be able to meet the many challenges that we face”. Kelly is a researcher at the University of Melbourne, and currently at the Forest Sciences Centre of Catalonia (CTFC). Both entities are responsible for organizing the event, which will take place throughout the week at the headquarters of the CTFC, Solsona. From the CTFC, also Lluís Brotons and Andrea Duane, experts in biodiversity and landscape ecology, are involved in the organization of the workshop. The aim of the workshop is to synthesize a range of mathematical models, tools and frameworks that can be used by scientists and decision makers to progress fire science and to make better fire management decisions. This includes providing guidance on common questions to fire researchers and managers such as the species response to future fire regimes, quantifying species responses to fire using easily understandable metrics, or drawing conservation plans under uncertainty such as unplanned wildfires. In addition to the knowledge sharing, the workshop will also include a field trip in Òdena (Barcelona), where in 2015 burned more than 1,000 hectares. A synthesis paper in a leading science journal will be a major output of this workshop, as well as the establishment of a new cross-discipline network of scientists interested in solving fire science problems, new projects, collaborations and grant proposals. Fire management are all activities required for the protection of fire prone forest as well as the use of fire to meet land management objectives. It involves the integration of such factors as a knowledge of fire regimes, probable fire effects, level of forest protection required, cost of fire-related activities and prescribed fires. Strategic application of this factors allows multiple-use planning, decision making, and day-to-day activities to accomplish stated resource management objectives. Successful fire management depends on effective fire prevention, detection, and an adequate fire suppression capability, while considering fire ecology relationships.